Friends Animal Society to sponsor pet adoptions this holiday season. million to Best Friends Animal Society. amazing things happen,” said Cesar Millan, star of Dog Nation. more about the campaign, please visit Zappos.com/Pets. Washington, West Virginia and Wisconsin. Customer Service Champion, one of only 40 companies so named in the U.S.
and job openings can be found at http://about.zappos.com. program can be found at zapposinsights.com. 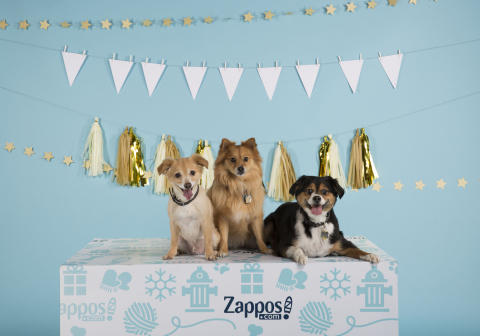 Zappos.com, Inc. is a subsidiary of (AMZN) Amazon.com, Inc.
All®. To become a fan of Best Friends Animal Society on Facebook go to: http://www.facebook.com/bestfriendsanimalsociety.